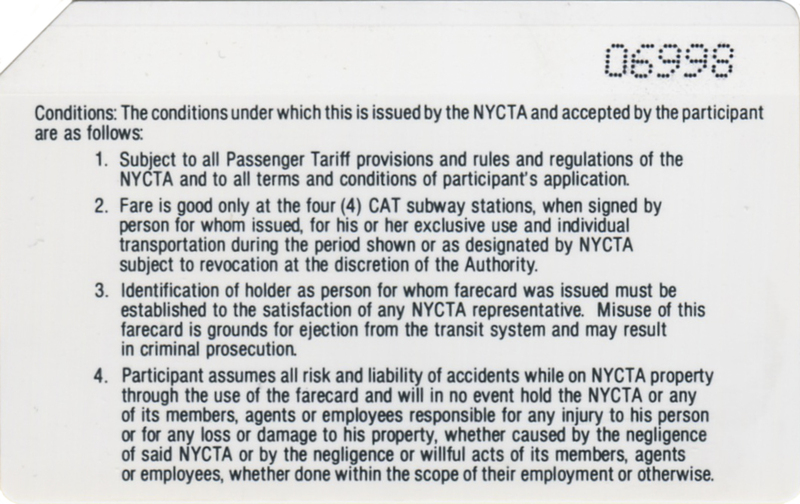 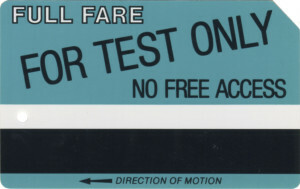 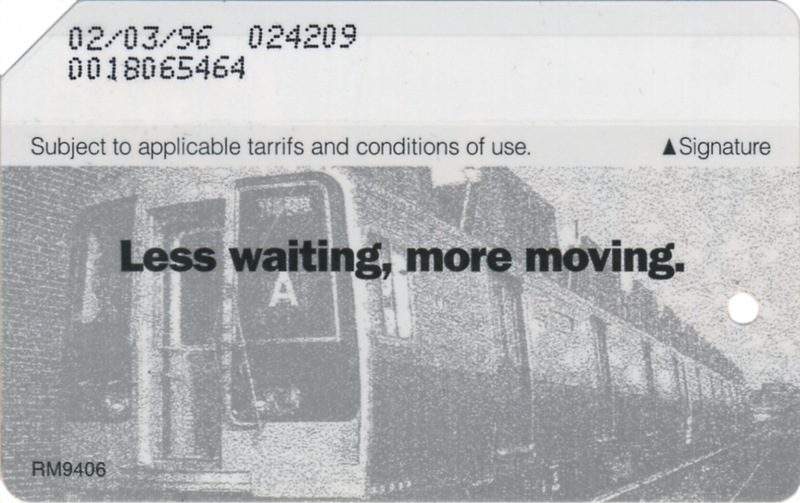 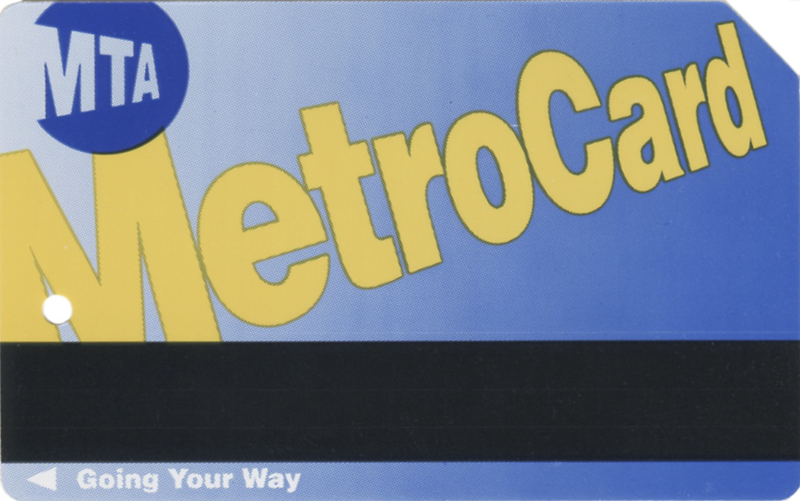 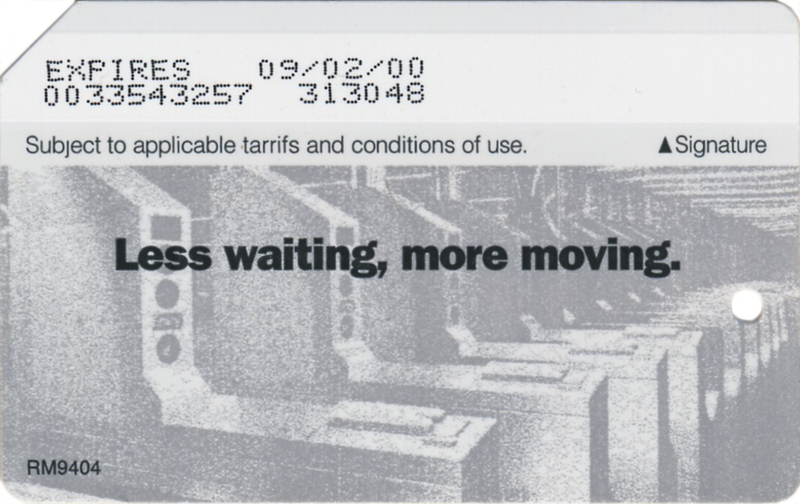 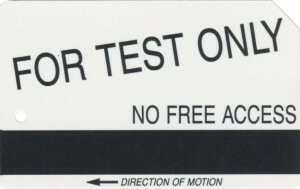 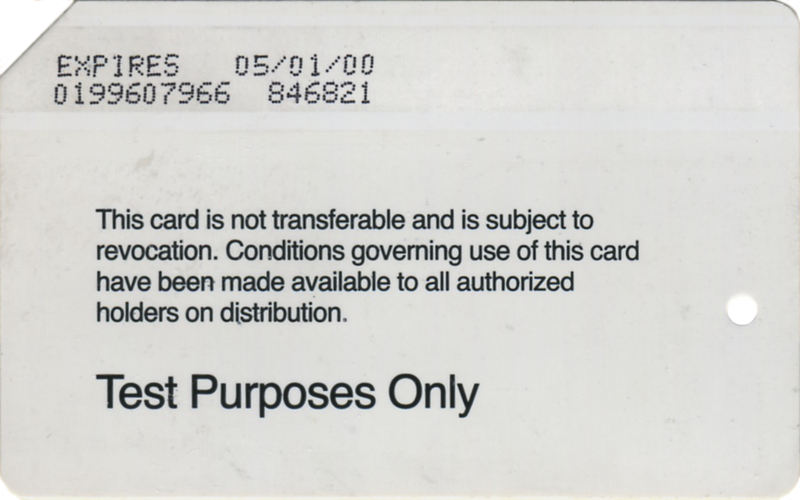 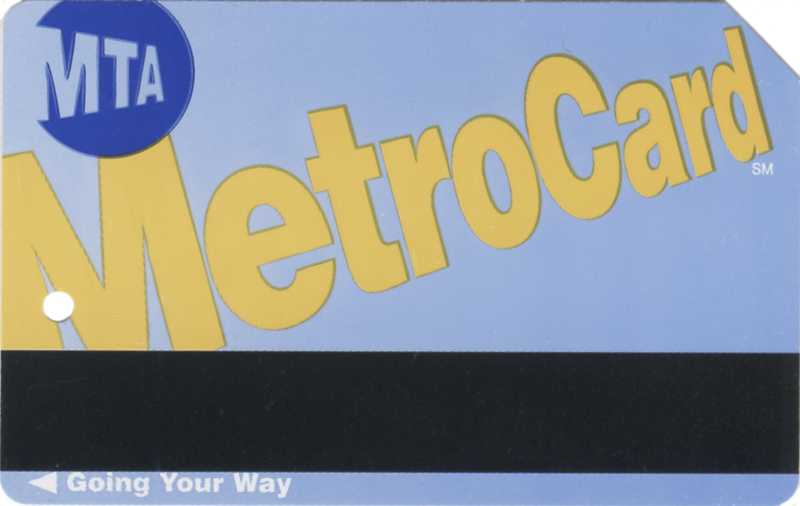 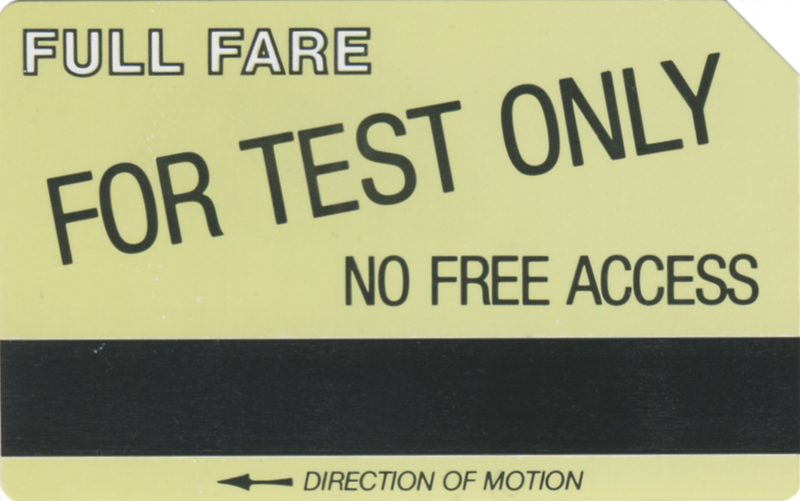 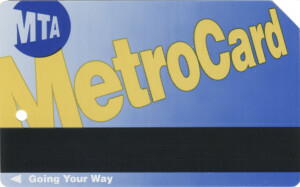 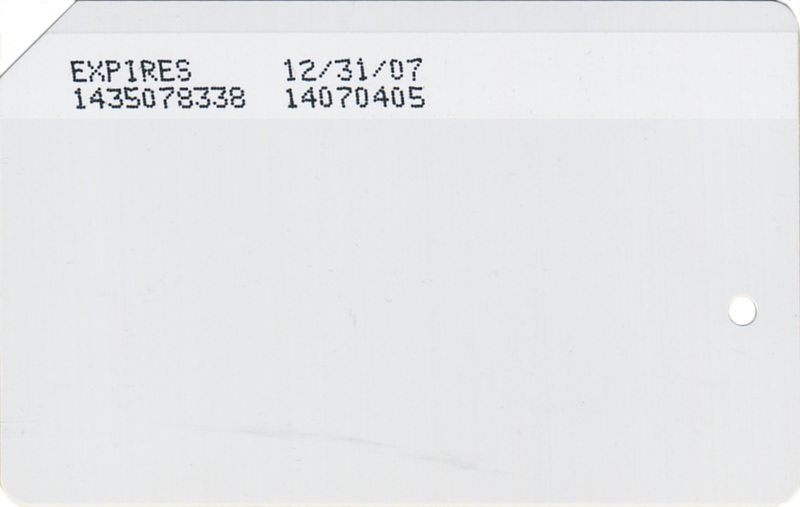 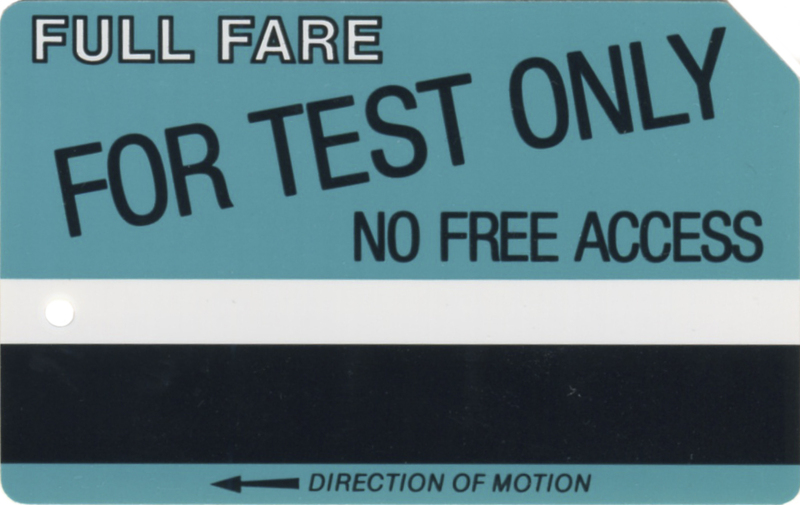 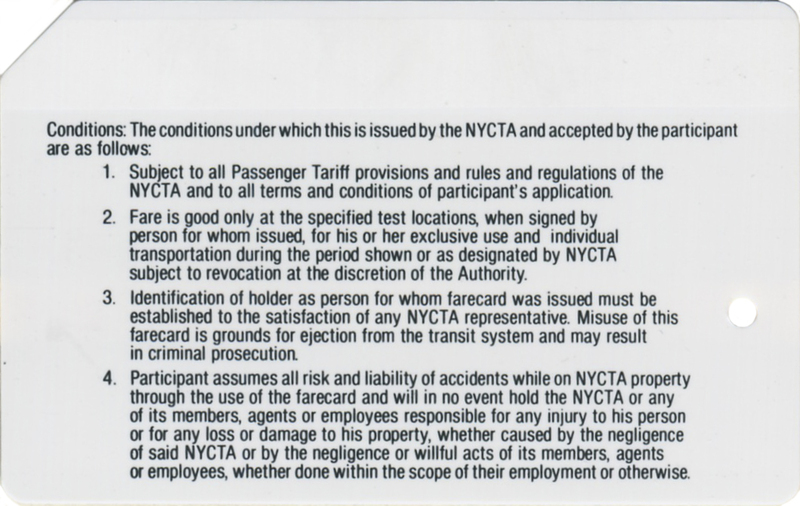 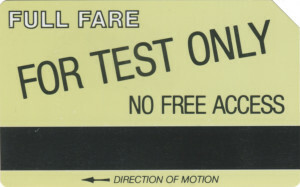 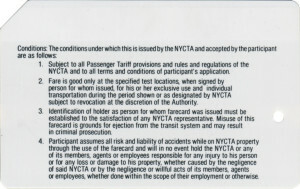 MTA issued many different test metrocards for internal use. 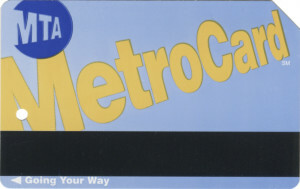 Some of them resembles actual metrocards with blue or gold color back. 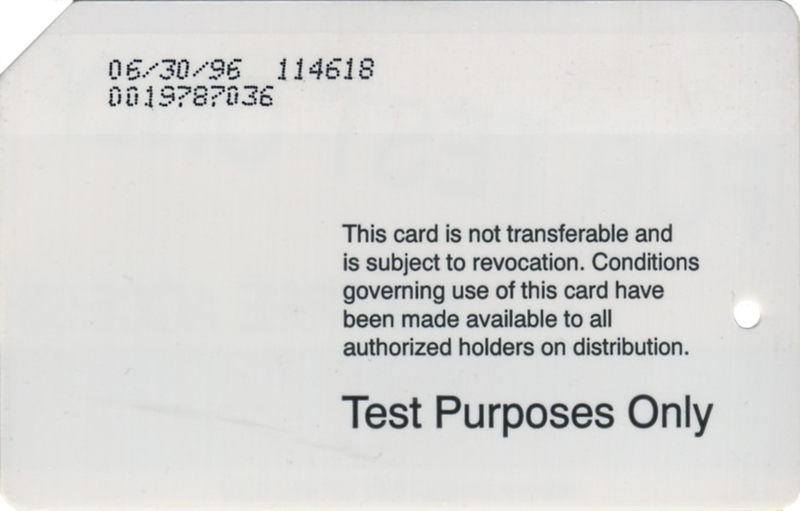 Some of them are totally white and some have images on them. 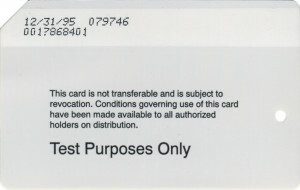 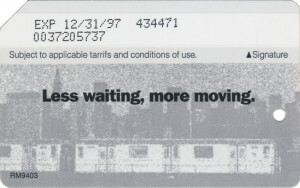 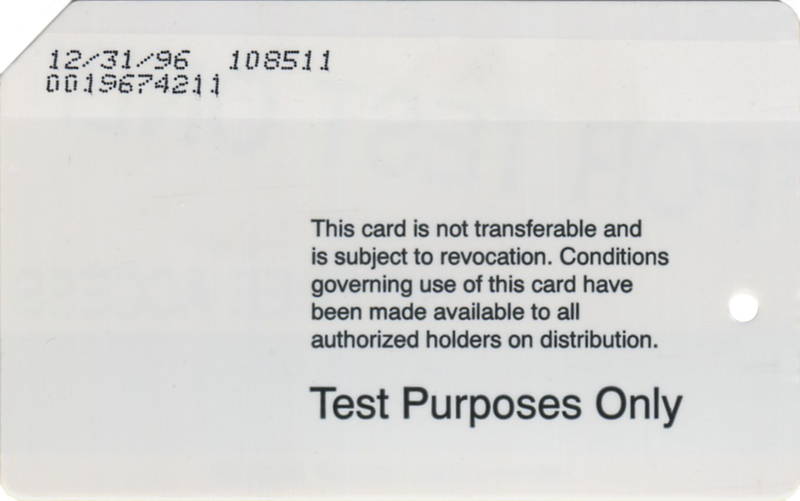 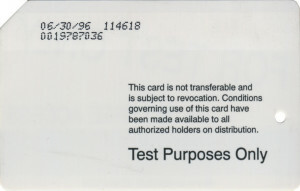 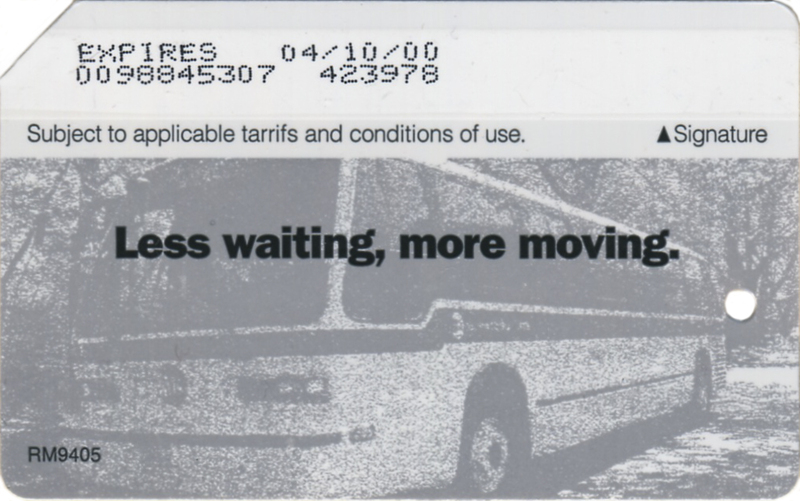 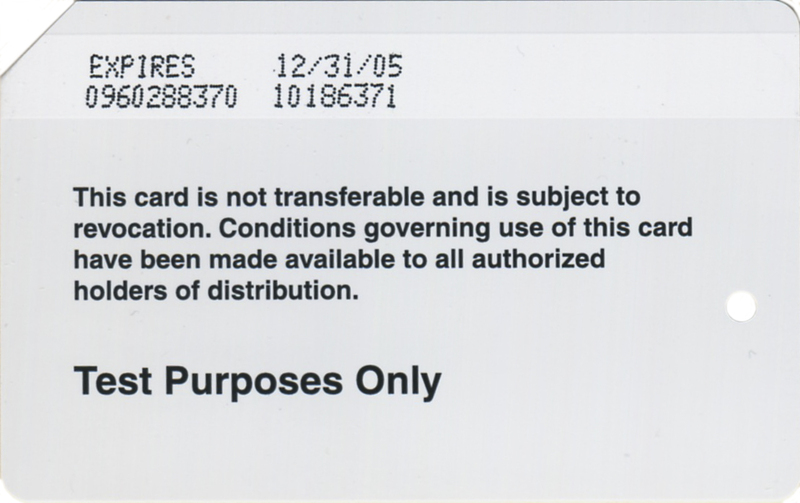 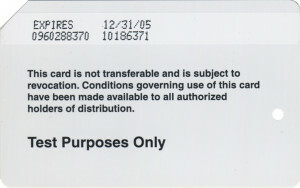 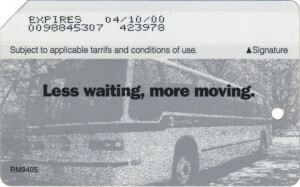 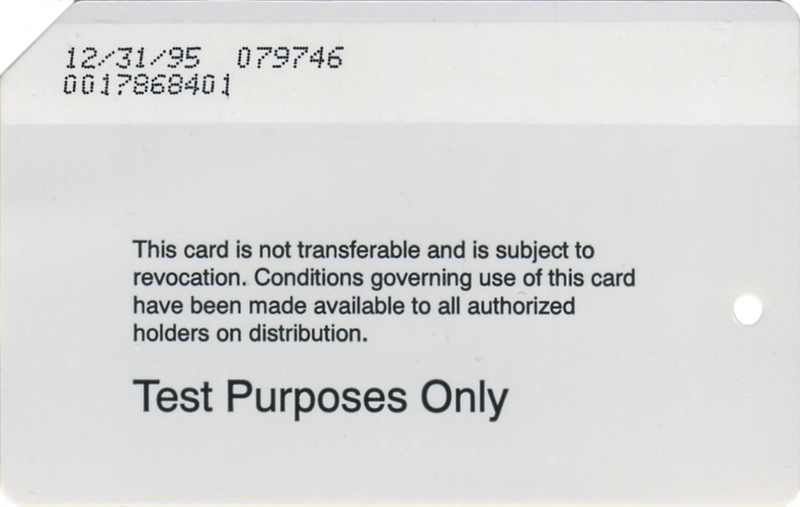 Here are images of test metrocards. On this image there is no trade mark SM yet. 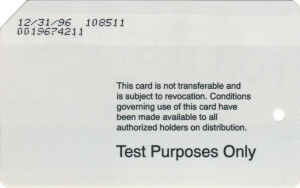 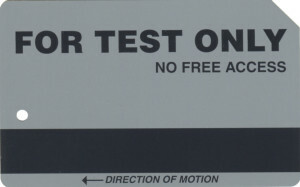 Backs of those white test cards are different in layouts and fonts. 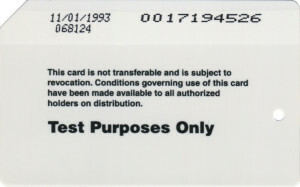 Gray back test cards. 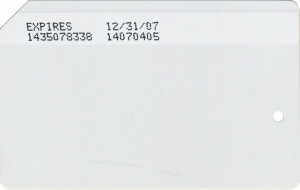 One of them has nothing on front and just expiration date and number on back. 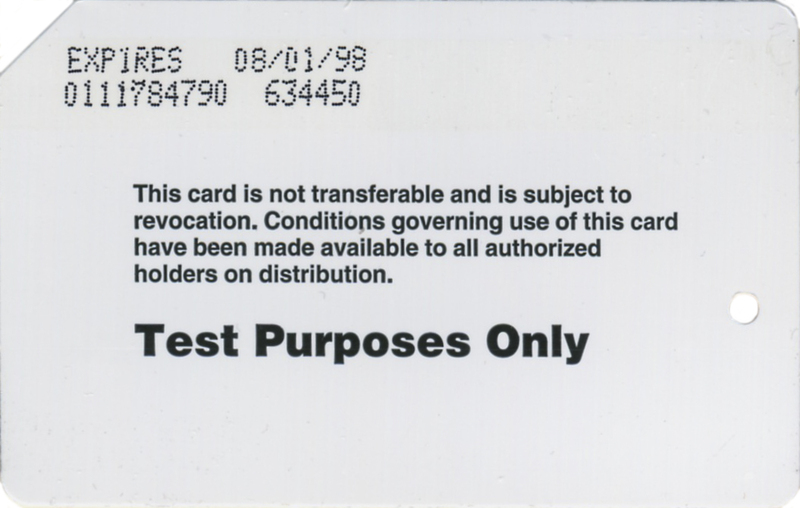 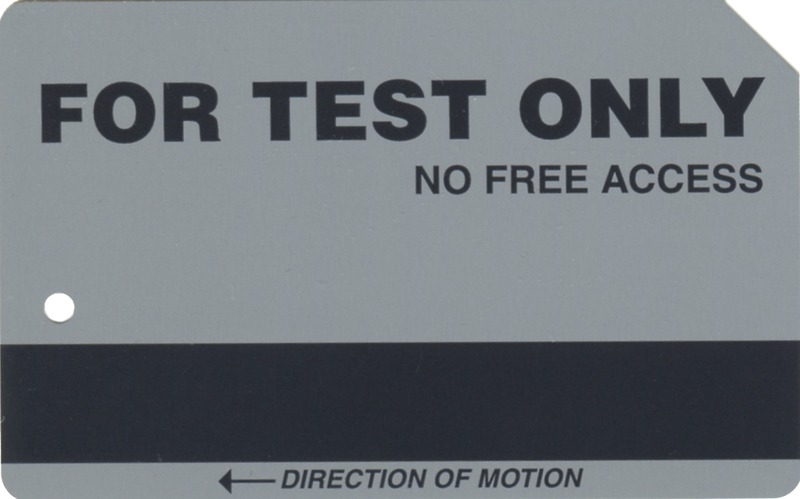 Here are 2 more test cards used by Cubic Transportation Company employees for testing. 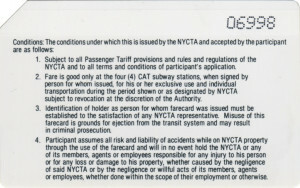 Those 2 cards are very unusual: they are of different colors – blue and bright yellow and yellow card does not have punch hole.